The Narcotics Enforcement Team (NET) provides a comprehensive approach to the enforcement of narcotic related investigations throughout Manchester Township. The NET’s primary function is to pursue criminal offenders, specifically narcotic related crimes and offenses. This is done through aggressive highway interdiction, as well as following up with neighborhood tips of possible criminal activity and quality of life complaints. Another aspect of the NET, is the investigation portion of their duties. 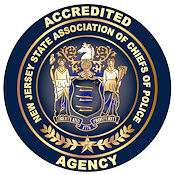 The NET is responsible for identifying, locating, and arresting criminal narcotic suspects; and presenting criminal cases to the County Prosecutor for criminal prosecution. The team oriented unit works hand in hand with the Criminal Investigations section to ensure that a thorough investigation is conducted by the Investigations Bureau.